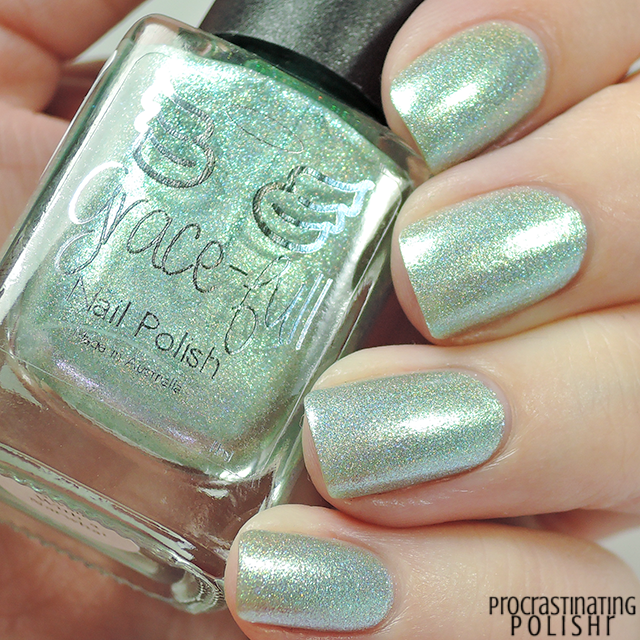 Happy for two reasons today - it's the last day of winter here in Australia, and I have a sweet new collection from Grace-full Nail Polish to show you! 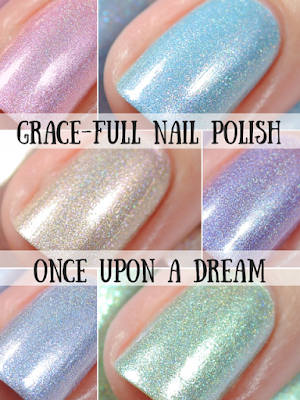 Full of creamy, shimmery pastel holos it's perfect for the dreamers out there! Are you ready for cute overload? 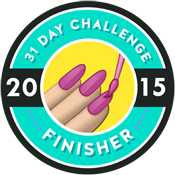 For all my swatches I've used 3 thin coats and Powder Perfect Lightning Lady top coat. The formula on all were almost identical - lovely consistency that's easy to apply, dried down to a smooth finish and opaque in 2-3 coats. 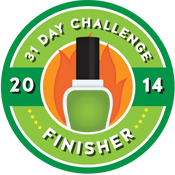 I did 3 of all for consistency and depth. 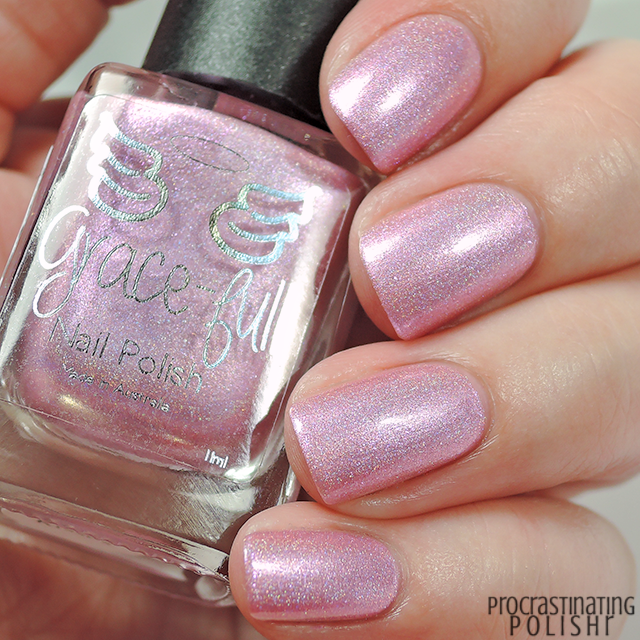 I rarely have an issue with formula from Grace-full! 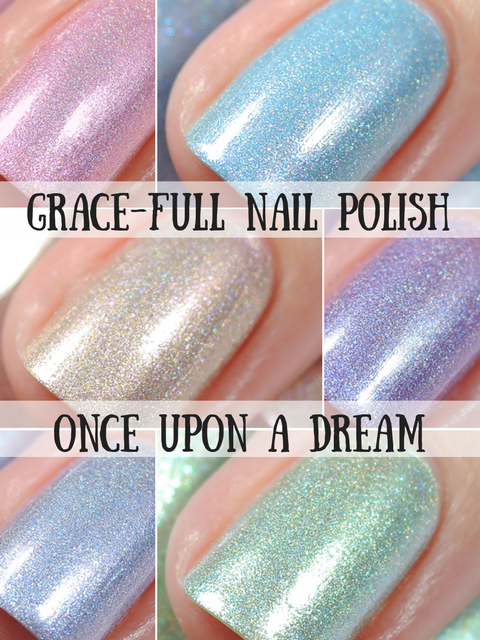 I received six of the seven shades from the Once Upon A Dream collection - keep an eye on @gracefullnailpolish on Instagram for swatches of Unicorn Rides, a coral holo with a pink shift. 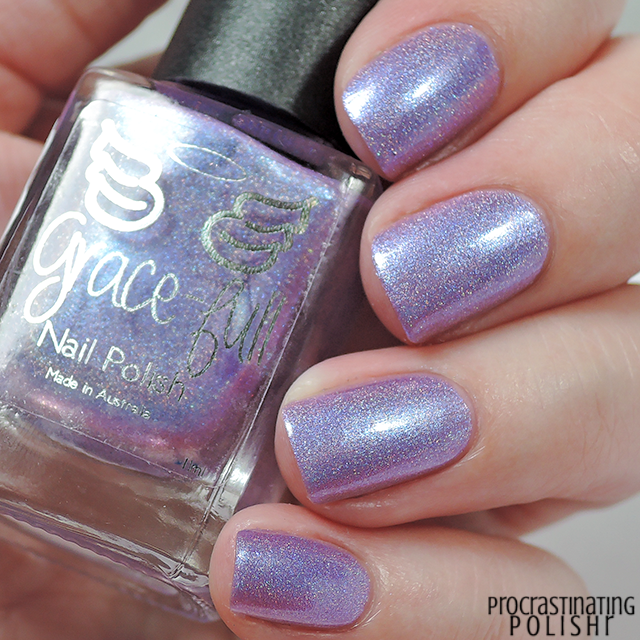 Delicate lavender toned linear holo with an icy blue shift. I love how strong that blue shift is, giving the perfect crisp finish. 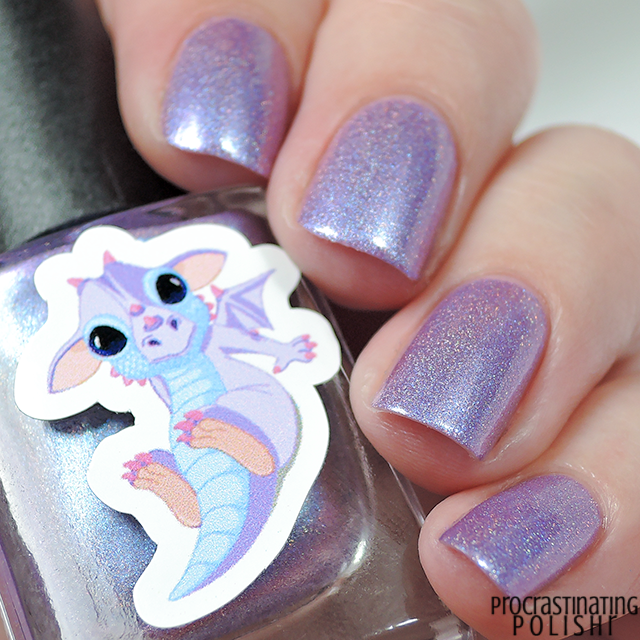 The colour is perfectly matched to the adorable dragon that appears on the side of the bottle too! 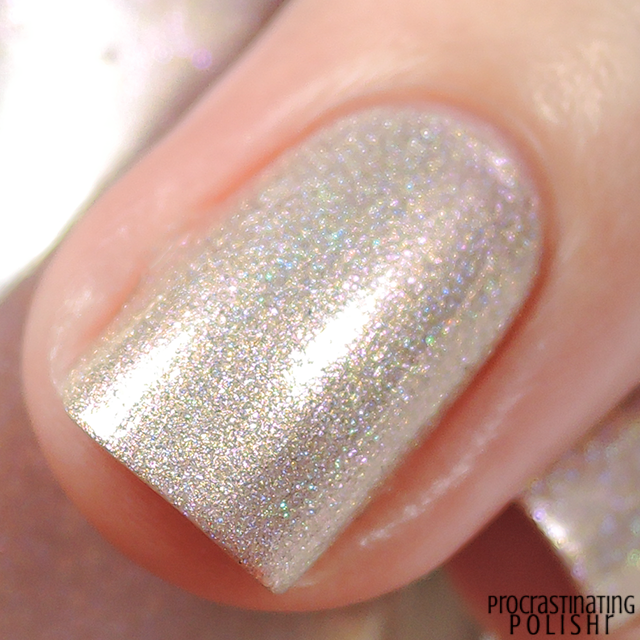 Candy pink linear holo with bundles of silver shimmer. My camera picked up the silver much duller than it appeared in real life, which is a shame as that was my favourite element of this polish! I'm not a fan of pastel pinks so this one didn't really do much for me, but if pink is your thing I wouldn't hesitate! 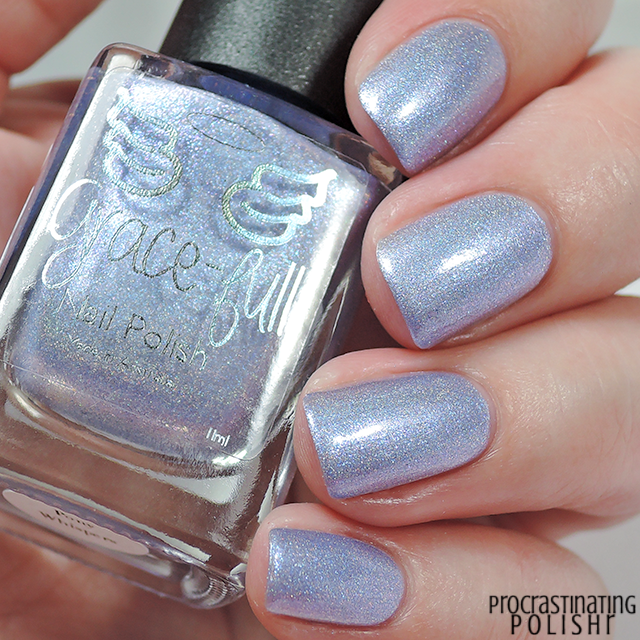 Cool toned periwinkle linear holo with pink and blue shimmer. I adore this one, it's been a minute since I've worn a periwinkle this pretty! The extra pink and blue shimmers really play up the balance of blue and purple as you move your fingers around. 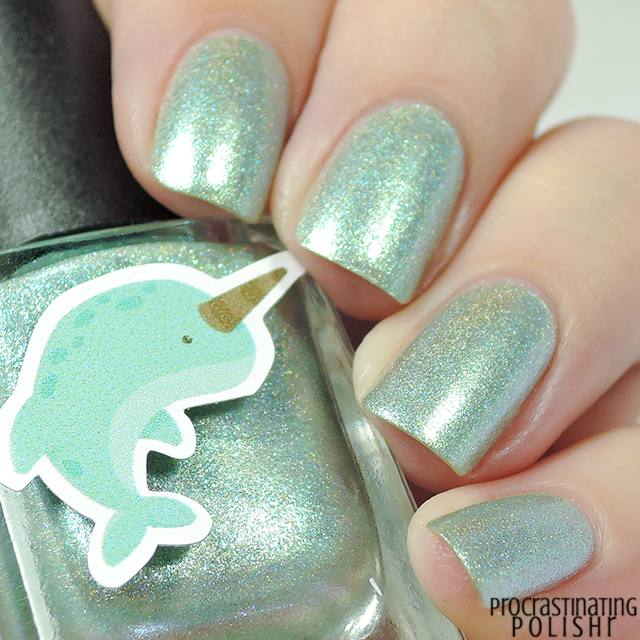 Soft seafoam green linear holo with a slight metallic finish and hint of blue shift. This is quite a unique colour to me despite my massive collection of greens, and naturally I love it. 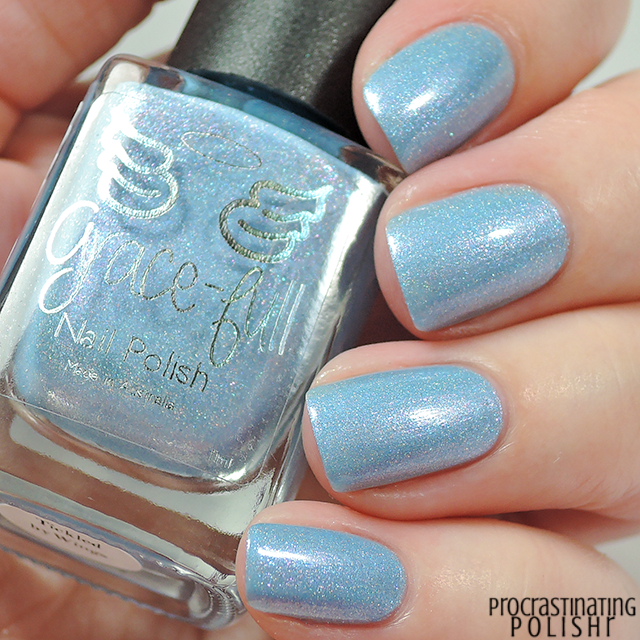 The icy blue shift gives a hint of flashy foil to the finish. I always appreciate these little additions to make something really stand out! 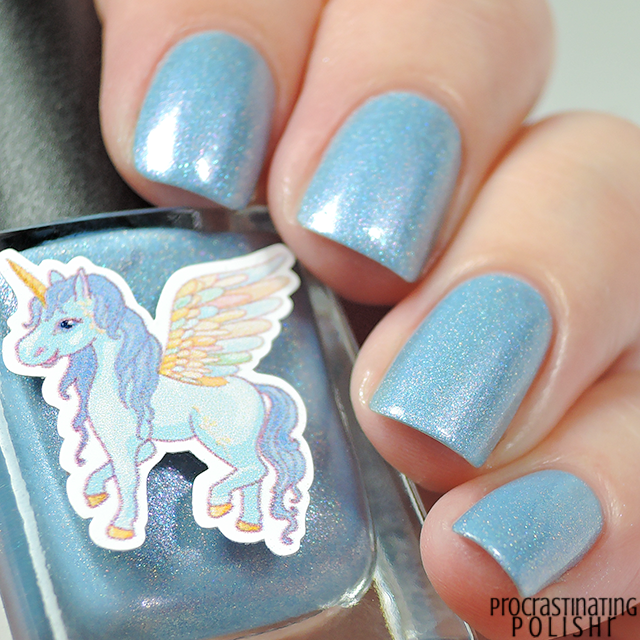 Creamy sky blue linear holo with a lively pink shimmer. This one had a slightly different formula to the rest, it felt like there was a little more creme to the base giving it a much more vivid colour. 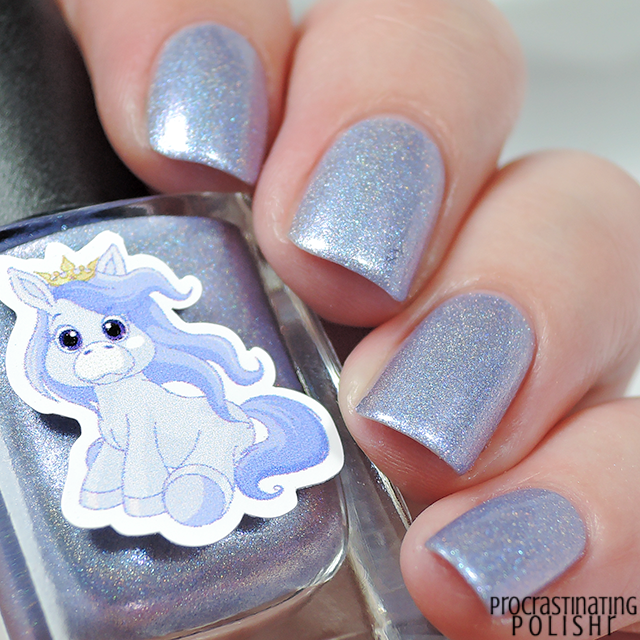 I think the holo was a little more subtle on this as well, though that's never a complaint from me - gimme shimmer any day! 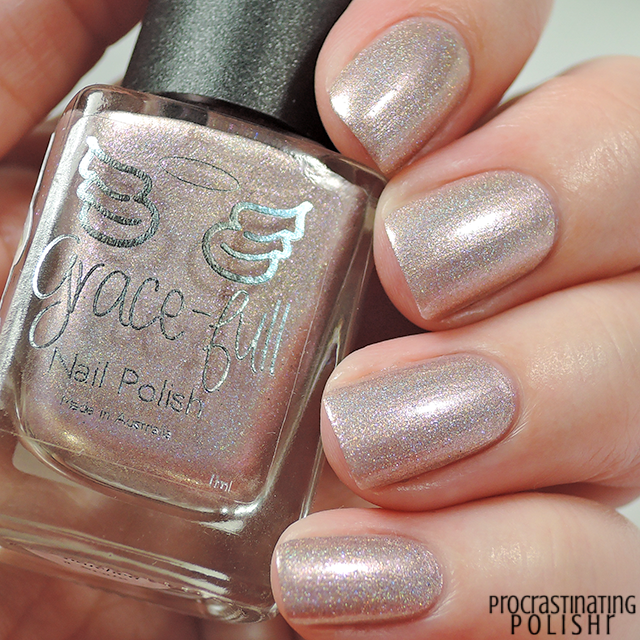 Gorgeous taupe linear holo with slight gold tone and bold pink shimmer. I knew instantly I was gonna love this - I never tire of neutrals with a twist! The pink shimmer looks really cool against the metallic taupe base, and in certain lighting it picks up a hint of golden warmth. Very interesting and unique shade, I'm sold!